Highly precise In-line temperature sensor for almost all G1/4" threads. 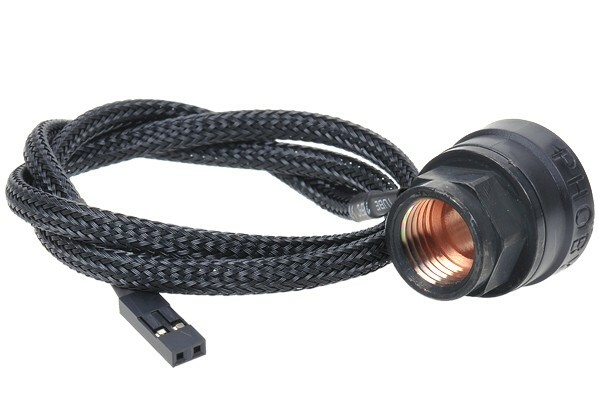 The sensor can be integrated at any point in the cooling loop. At the measuring point the wall thickness of the casing is reduced to <1mm and the sensor is insulated from the outside to allow maximum precision and quick reaction of the measurement. The sensor can be used universally with the monitoring devices sold in our shop.